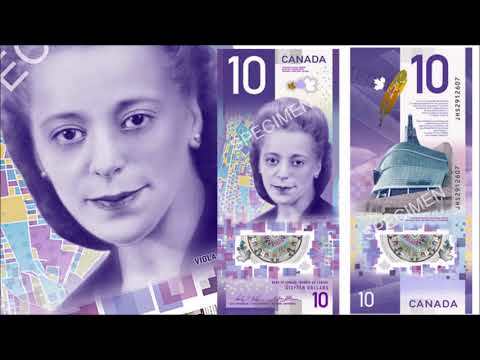 Canada’s new $10 vertical banknote, featuring Viola Desmond, will go into circulation next week. It’s the first time a historic Canadian woman will be portrayed on a regularly circulating Bank of Canada note. The new note is notable for being the country’s first vertically oriented banknote, which enables Desmond’s image to be displayed more prominently than it would on a horizontal note. Canadian citizens helped nominate Desmond, who was a Black Nova Scotian businesswoman. She is renowned for her refusal to leave a whites-only section of a movie theatre in 1946. 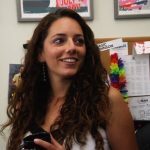 Desmond was arrested, jailed, convicted and fined for her crime. On the back of the $10 note are designs and images that correspond to Canada’s increasing focus on human rights and freedoms. There is the Canadian Museum for Human Rights, which was the world’s first museum devoted entirely to human rights. An eagle feather represents the indigenous people’s pursuit of rights and freedoms. There is also an excerpt from the Canadian Charter of Rights and Freedoms. The new bill will also have a map of Halifax’s historic north end where Desmond opened her first salon, the Canadian flag, and Canada’s coat of arms and the motto a mari usque ad mare, Latin for “from sea to sea,” reports Daily Hive. The $10 note, which includes security features to thwart counterfeiters, is printed on polymer, which is more durable than paper. While the images are vertical, it is the same size as other bank notes and should be handled the same way. “I’m immensely proud of all the innovation that went into this note—from the public consultation process that encouraged a national conversation on the important contributions of women in Canadian history, to the note’s beautiful vertical design, to its cutting-edge security features,” said Bank of Canada Governor Stephen Poloz. The Bank of Canada plans on issuing a new note every few years in order to integrate new security features (a redesign for the $5 note is upcoming). Canada’s first Prime Minister, Sir John A. Macdonald, and first francophone Prime Minister, Sir Wilfrid Laurier, will be featured on higher value banknotes when they are redesigned in the future. The $20 denomination will continue to feature the reigning monarch.